Abstract: Inheriting the humanized designs from the previous modes, Airwheel H3 motorized wheelchair designed for the old stands out for its unique features, like the automatic folding system allowing riders to push one button to fold up and unfold it. It gives you an unconstrained riding experience with the intelligent handlebar controller. The aim of Airwheel to let everyone enjoy the smart vehicles in their daily life. Many think the models Airwheel released are only for the young, few for the old. 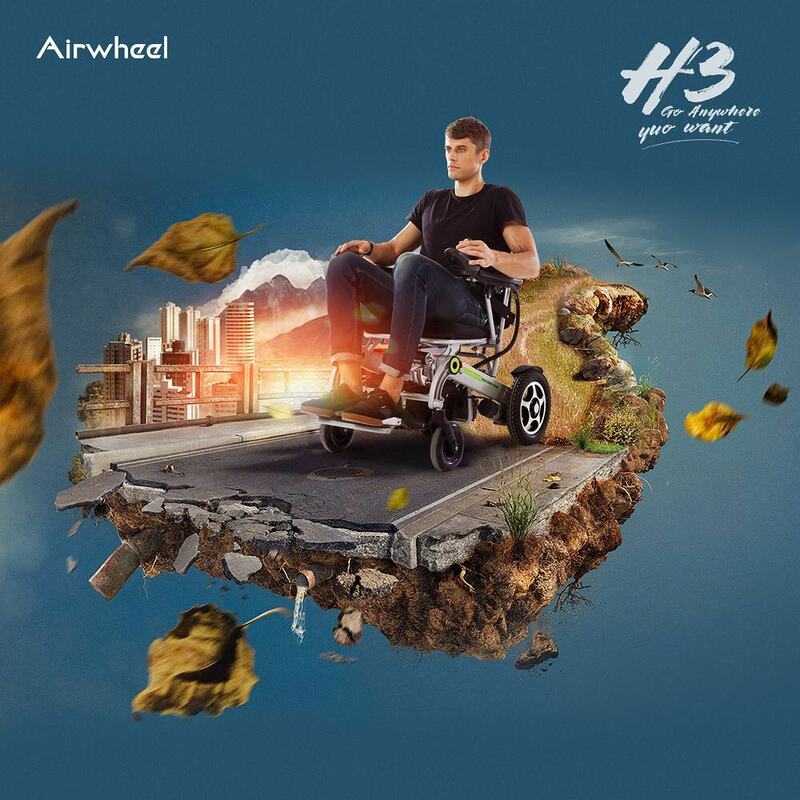 Airwheel H3 electric wheelchair is exclusively designed for the senior citizens which offers new innovations with user-centered design, technologies, and other resources to help improve the riding experience. 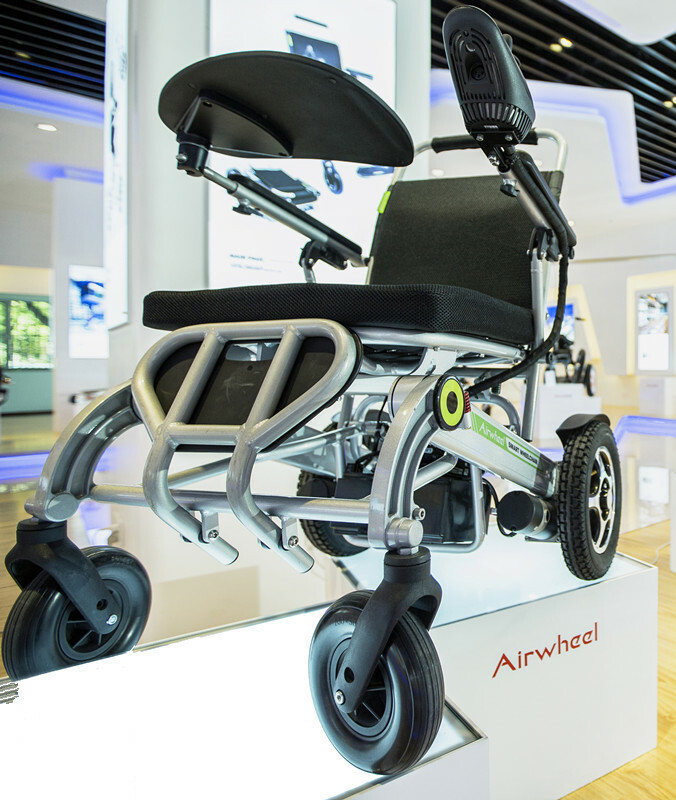 Before the R&D, Airwheel H3 power wheelchair team has done many market researches. Before we get the finished product, it has passed kinds of tests to ensure its quality. Featured by dual mode riding postures, branded lithium core, intelligent control system and smartphone app, it is able to present you a satisfactory riding experience. The sleek aluminum alloy frame designed by aviation standard and curve concept, is so solid that its carrying capacity can reach a maximum of 130kg. H3 provides riders with two ride modes. You can enjoy a free ride in the pure-electricity mode. The branded lithium battery with battery management system not only guarantees sufficient power supply for H3, but also ensures the safety. Also, others can push H3 to accompany with you. 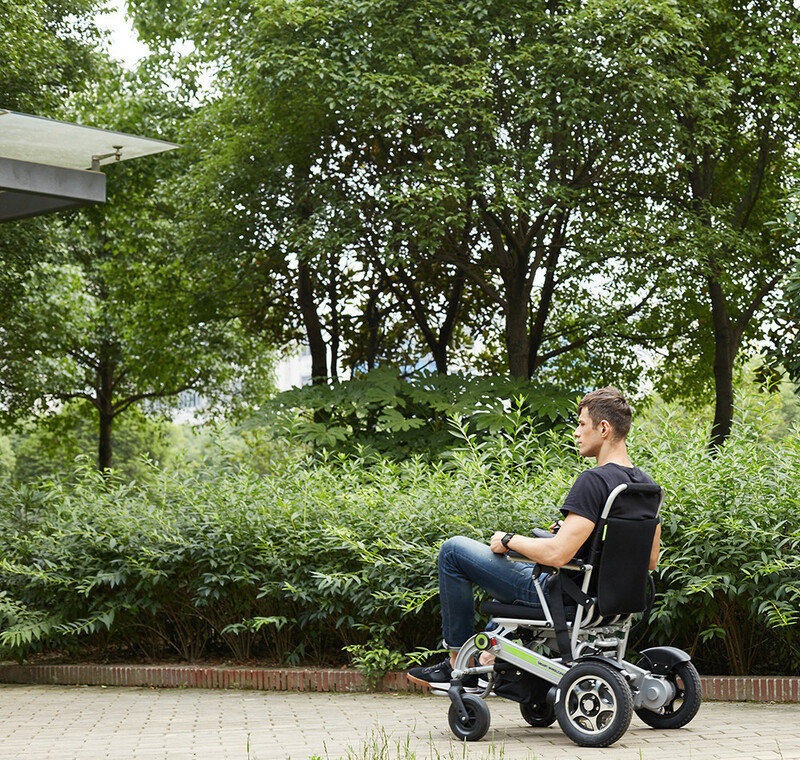 Airwheel H3 motorized wheelchair is super easy to manipulate it. Riders can push the handlebar controller forward and backward to control it to accelerate and decelerate. To brake, you just lets your hand doesn't touch the controller. To reverse, H3 will give you reminder if there are obstacles to ensure the safety of rider and others. It adopts 12.5 inch rear wheels and 8 inch front wheels to fight against various road conditions with their excellent performance in road holding capability and shock of absorption. More surprisingly, H3 automatic electric wheelchair easily folds up to manageable size and can fit in the trunk of almost any car. Moreover, it has adopted the automatic folding system to make the folding process much easier. Just push the fold/unfold button on the handlebar controller. Previous：How About Taking Airwheel Electric Assist Bike for Your Paris Travel?